From the moment you worked hard and earned your license to drive, that set of car key have been your symbol of freedom. Without a functioning set of car key, your vehicle’s ignition is not going to turn to operate properly to take you on the road to where you want to go. If you lose that set of car key, your key breaks off into the door lock or ignition, you damage your key, the batteries die on that fancy electronic key fob, or for whatever reason, those keys cease to work properly, your first matter of business will be to acquire a working set of car key to send you on the road again. When you discover you need new car key, it is never a convenient time that is planned. You may even be in an emergency situation that requires fast action. It is important to know what kind of key your car requires. There are several different types of car key that skilled locksmiths understand well and are capable of duplicating, cutting a new set or reprogramming quickly. For years upon years, a traditional car key was the only kind of key used to operate a vehicle and open or lock its doors and trunk. Often, one key was required for the doors or trunk, while a separate key was used for the ignition. What used to be the norm is now a bit out of date and even old fashioned, though still used on many automobiles. These keys were used until late into the 20th century when laser key cutting was introduced. The traditional car key use a traditional key cutting machine for duplication of this style of key. When laser cutting was introduced, it was intended to provide an extra measure of security in duplicating car key. A laser cut key is sometimes called a sidewinder key or an internal cut. The way this style of key offers additional security is that they have lock cylinders that are more difficult to pick than the traditional metal cut keys. This extra security step also makes it more difficult to duplicate and copy the key because of the process of the designed using complex technology and specialized software on the laser-cutting machines. In an effort to make it virtually impossible to steal your car, a system to deter car thefts was created. VATS, which stands for Vehicle Anti-Theft System, car key are cut mechanically and then a black resistor is added to the blade of the key. This resistor is often confused with and thought to be a computer microchip, but it is not. There is no computer electronic technology involved. The resistor is there for the purpose of providing one of 15 potential values. These keys are designed to give you added security. With technology advancing toward smart phones and electronics, car keys are no exception. Newer model cars offer a variety of electronic keys ranging from Smart Car Keys, Electronic Key Fobs and Transponder Keys. Electronic key fobs have become common place within the last decade. They are used to make unlocking a car door convenient and essentially keyless. With the touch of a button and a click or two, you are able to unlock doors, open trunks or back hatches, lock doors, and turn on or off an alarm system. Some car manuals suggest you get your electronic key fobs programmed or replaced by your car dealership. What they don’t explain is that a qualified locksmith is able to provide you with this service at a fraction of a cost and usually in a more timely manner. Smart keys offer a complete keyless entry and ignition starting feature by implementing microchip sensor technology that only requires you to have the keys located on or near you within a specific proximity to the car. 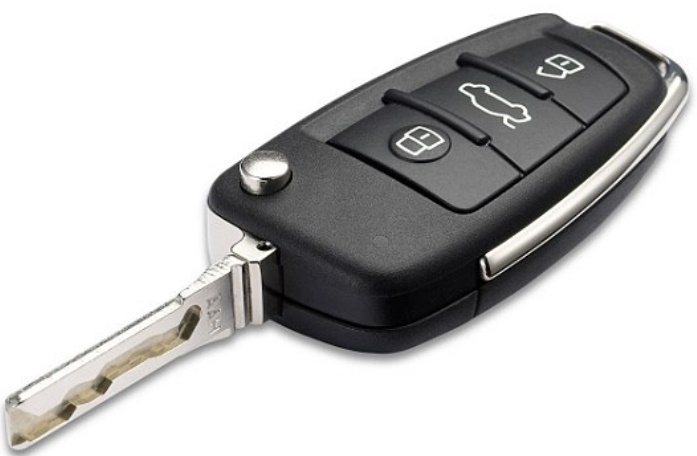 A transponder key takes the process of creating a car key to an entirely new level of security and technology. 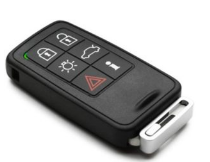 These car key have a metal-notched key that extends from an enclosed computer microchip built in that is designed to prevent car thefts as they add ignition security. Transponder keys are sometimes cut mechanically. Other times, a laser cut is used for car key duplication of transponder keys. Asking a Locksmith to duplicate your car key is sometimes the most cost effective, timely and convenient way to go! especially if you have a transponder key that needs to be reprogrammed before it can sync with your vehicle to operate properly. A locksmith will usually charge significantly less money to duplicate or reprogram your car key than would a car dealership. In addition to the potential cost savings of the actual key duplication or programming, you will also save a great deal of money that you would otherwise spend on having your car towed to the dealership to receive the same services at a heftier fee. Save time and money by checking a locksmith near you phone number before you lose your car key. Make sure you find a 24 hour locksmith service just in case.